In most of of the 50 states waterbeds and the stores that sell them have went the way of fad clothing styles. 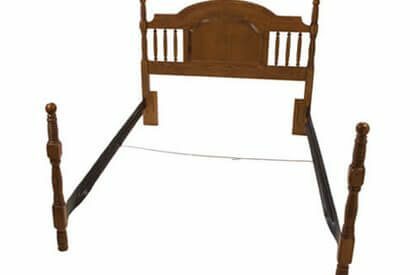 While these once popular beds may have went out of fashion in some parts of the country, these old style beds are making a come back here in St. Louis MO. However in some cases it’s not the beds they are look for, but the waterbed’s amazing feel and pressure relief. They are looking to duplicate the bed of the past with something that mimics the feel of their old waterbed. Shoppers go on to say how great their old waterbed felt and how they want to recapture that feel, support, and comfort without their headaches like leaks or moving them. Like them or not the old fashioned H2o beds of the past changed the way you and I sleep today. There was a time when most believed harder firmer beds were better for you. At that time the majority or doctors and chiropractors recommended firmer beds as the best beds for your back. Plain and simple that’s just how beds were built in those days and much has changed since that time. Firm mattresses were made with a lot more metal when building the steel coil springs and very little surface padding for comfort making beds of the past very thin yet extremely heavy and hard as rocks. The invention of waterbeds introduced mattress buyers to a softer more forgiving type of sleeping surface that didn’t make you feel like you were sleeping on high school bleachers or a concrete floor. These new beds increase painful pressure points and minimize turning and rolling over constantly. How can I Resemble the Feel of a Waterbed? 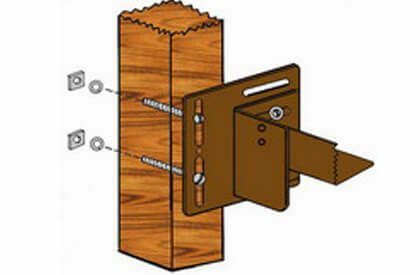 The real key is to duplicate firm support with an extremely cushy ooshy top. The top shouldn’t make you feel like you’re swallowed up or sinking in like a hammock. Coil spring mattresses are one way to do that. If you have a hardside waterbed and don’t want to get rid of it you can get a regular replacement mattress called a waterbed insert. Buyers who left waterbeds told us that they needed a firm bed. There was only one problem with this change. When they left there waterbed they went with firm, extra firm, and even super firm choices. When purchasing a waterbed insert mattress that is too firm it can be a huge mistake. 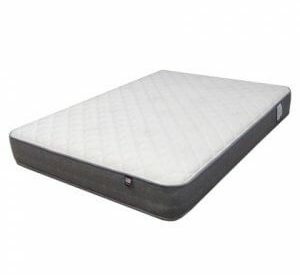 Instead sleepers should consider plush and pillow top choices that have firm support. They also need to make certain that the softer surface support is much like the old waterbed feel that they are familiar with making the mattress transition from water much easier. While waterbeds were already in decline due to their own failures in the late 1980’s, the introduction of softer more comfortable bedding with plush and pillow tops by producers like Sealy, Serta, and Simmons were stealing their lost business back. Today memory foam mattresses are still a great alternative. 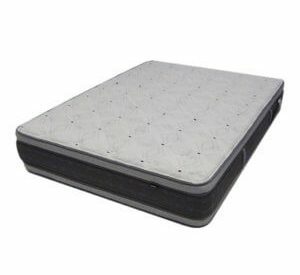 In 1992 the first Tempur-Pedic mattress with pressure relieving viscoelastic foam was introduced. The claim was one being made by the waterbed industry for years, optimal pressure relief on the body. Owners say their mattress is not only soft and comfy like water filled mattresses, but they also minimize painful pressure points that cause them to toss and turn and disrupt sleep. Today Tempur pedic and their many clone knock offs and solid brands like iComfort from Sealy,Therapedic and others can also be good choices without the problems. If you to purchased a mattress and it ended up feeling nothing like your old waterbed, you may want to consider adding a pillow top topper. This is an excellent low cost way to take a mattress set that is way too firm and replicate the feel of water. The thicker the top the more likely it is to feel like the water-mattress you disposed of. The key to this is to get one with a softer feel or ILD. Our favorite is the Talalay Active Plush Topper 2″ and 3″ in a soft 19 ILD (Initial Load Deflection) from Pure Talalay Bliss. They are soft and supportive which eliminates the mushy sagging feel which an uplifting nearly buoyant experience. Alternative topper choices would be a softer memory foam topper or down and feather mattress or topper. Latex Mattresses are also a great alternative for individuals looking to mock the feel of a fluid filled mattress. Latex has been providing sleepers with durable, uplifting support for quite some time now and is making a strong comeback especially because most are either all natural rubber or a blend of natural and synthetic rubber. There are two different types of latex: Dunlop and Talalay Latex. 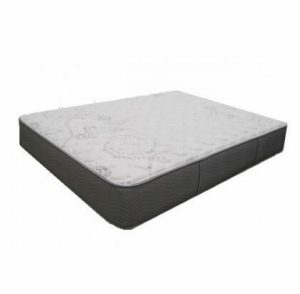 It is recommended for Ex-Waterbed Sleepers to opt for the Talalay Latex due to the softer, squishier feel. A softer ILD in the upholstery layer, 14ILD-19ILD, provides the sleeper with that softer feel similar to the waterbed. Many seek the feel of water and turn to brand name airbeds like the Sleep Number Bed and Comfort Air. The truth is that while it would seem you could make an adjustable feel bed emulate the feel of water, by the time you release enough air that replicates the feel, former waterbed owners often complain of not getting enough support and serious sagging issues. We suggest you try this in a store before you spend thousands of dollars only to find it doesn’t feel the way you need it to feel. Remember the previously mentioned alternatives are good choice for those who seek the feel of a waterbed without owning one and while they might have a similar feel, they still are not water. Please share with us what you have done to resemble the feel of your old waterbed without actually owning one. Out of all of these, I’d say the closest match is an air mattress. Modern mattresses try very hard to isolate movement, and my memories of water beds are more of the entire bed moving around. Did water beds improve since then, or no?